Gulfstream has the capacity to deliver 1.30 Bcf/d of natural gas to Florida - that's enough to produce electricity for 4.5 million homes. 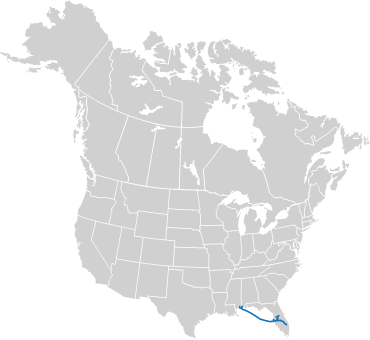 Extending from southern Mobile County, Alabama, across the Gulf of Mexico and into Florida, Gulfstream pipeline helps Florida continue to meet the energy needs of its growing population. As the largest pipeline in the Gulf of Mexico, Gulfstream provides Florida with a clean-burning, environmentally friendly and cost effective energy solution. Gulfstream is a partnership between Spectra Energy Partners, LP, and Williams Partners L.P. The pipeline is operated by Williams. For assistance with operational problems or in an emergency, please call Gulfstream Natural Gas 800-440-8475.